The Endoscopic Release System is a highly advanced technology which provides access to the carpal tunnel and cubital tunnel through one very small incision. The procedure requires no stitches and provides instantaneous relief from pain for most patients. The TFCC Fast Fix is a minimally-invasive arthroscopic surgery specifically designed to repair Triangular Fibrocartilage Complex Tears of the Wrist. This procedure involves placing the wrist in a “tower” to provide access to the small wrist joint and allow for examination using a scope. Wrist arthroscope is the gold standard with respect to diagnosing and repairing Triangular Fibrocartilage Complex Tears of the Wrist. The Tenex FAST procedure is a minimally-invasive technique used to address Tennis & Golfer's Elbow. During the procedure, Dr. Loredo will use ultrasound energy to break down, emulsify and remove scar tissue from the forearm tendons that attach to the elbow. The incision is very small and requires no stitches, just a small band-aid. Because of the precision afforded by the Tenex system, Dr. Loredo is able to zero in on only the damaged tendon tissue with the ultrasound energy and the surrounding healthy tissue is left unharmed. Due to the minimally-invasive nature of this procedure, plus no stitches or general anesthesia, there is minimal downtime and less discomfort as compared to traditional open surgery. If a patient is suffering from Thumb Basilar Arthritis, Dr. Loredo may recommend surgery on the affected joint using the Mini TightRope® CMC Technique. 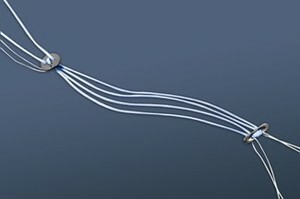 Using the Mini TightRope® CMC Technique, the trapezial bone is removed and the thumb metacarpal is suspended using two strands of FiberWire, allowing for capsular healing, hematoma, and scar tissue formation in the trapezial space. This space may also be filled with a graft or artificial spacer. This technique is further illustrated in this video. The CPX is a small external fixator which is used to treat distal radius fractures, a common bone fracture of the radius in the forearm. 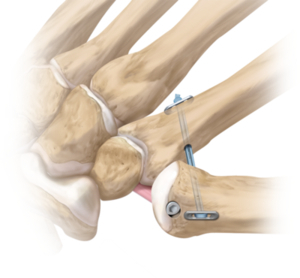 The CPX surgery is minimally invasive and does not cross the wrist joint giving patients the ability to move their wrist throughout the entire healing process. 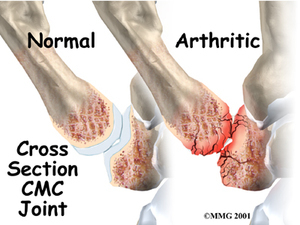 The CPX device is typically removed in 5 to 6 weeks. Our practice offers state-of-the-art hand surgery procedures. Our hand surgeon, Dr. Pedro Loredo, can help determine which procedure is best for your needs. Please contact our practice to schedule your hand surgery consultation. We work with numerous insurance companies and offer a variety of financing options to help make your procedure affordable.